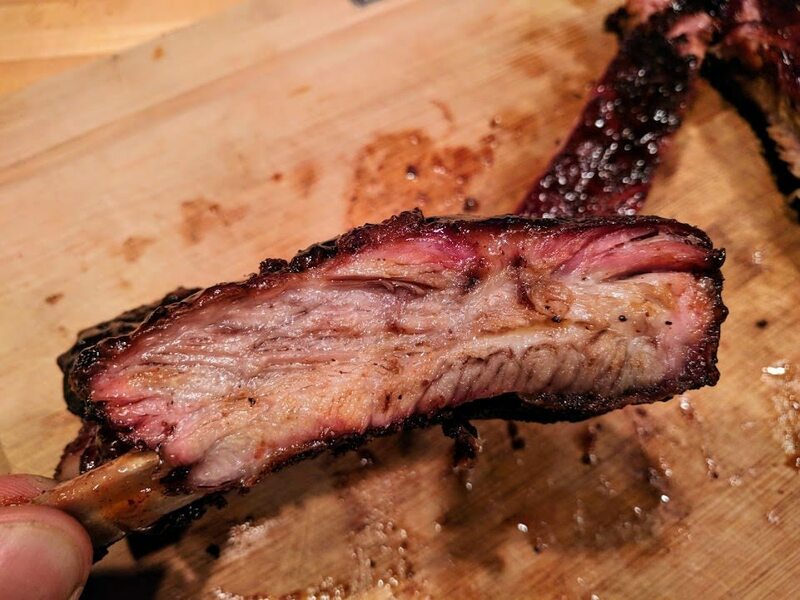 Ribs on the Pellet Pro - Page 2 - The BBQ BRETHREN FORUMS. I can see what you mean! Those look very nice. Honestly I have no clue as to what the magic is. Pellets just make some crazy ribs. You might be right. It was the first time I've seen my daughter not use sauce. Sure it wasn't Blues Hog?? I'm not a sauce guy but stuff is crazy good. Case in point. My pooper puts out my best ribs too... it’s all about the pooper science. Last edited by BKING! ; 11-24-2018 at 08:10 PM..
Great looking ribs...please...tell me more about this "Spamanal" creature you all speak of??? It's just the low sodium Spam that you cross cut but not all the way thru. I season my half, the wife likes hers plain. Cook until you like the color/bark. Those ribs are unbelievable!!! I don't even need to taste them. Nice work! Would love to know more about your rub. Also, did you ever wrap? Thanks! A tiny bit of cayenne, Williams Rib Tickler, tiny bit of course black pepper and a little Fiesta Rib Rub. I never wrap. I only add the pepper if i don't see enough on the ribs from the Rib Tickler and only put cayenne on the top. You guys all have some fantastic looking ribs! Way to go! 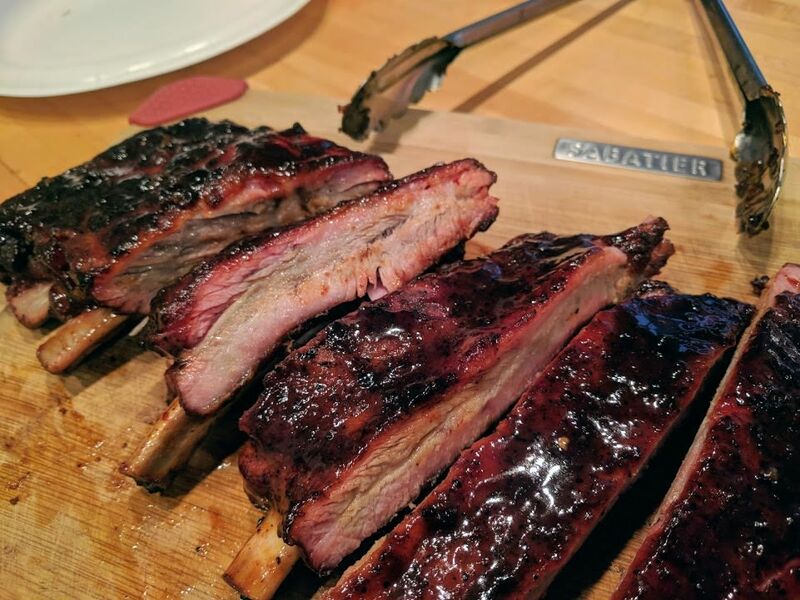 I like using my pellet cooker for all kinds of Q, including ribs. Killer stuff Paul! IMO the best ribs are off the pellet grill. I've had amazing results ever since getting the pooper. SSV3 - Pellet is better than hanging on your Hunsaker? Yikes, they must be good, because mine on the Vortex are killer. Please educate me. Maybe I need a pellet pooper for a Christmas present!